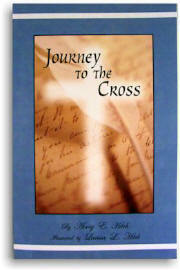 Journey to the Cross is the sequel to Be Ye Thankful, and brings to a close the heartwarming story of Leah Stevenson and her family. Struggling with hard circumstances, which the Lord has allowed into their lives, every family member longs to be whole again. Each must make their own decision to turn from the past and look to the future, though this difficult choice is sometimes heart wrenching, and occurs only when the individuals find peace in the will of God, and learn to trust Him with all that they hold dear. Life in 1833 is rugged, and when a serious accident confines Leah to bed, the Stevenson family is devastated, individually seeking their own paths for strength. But the real injury lies in seventeen-year-old Leah’s soul, and her ailing body reflects only a portion of her torment. The family strives to lift their loved one’s spirit, but nothing brings cheer until this young woman completes her own journey to the cross. Join seventeen-year-old author Avery E. Hitch on another immersing venture into the Stevenson’s home life, and discover the real truth about Christ’s love, hope, and healing, and the continual sanctification that is a vital part of a Christian home. Readers of all ages who have enjoyed the author’s first book,Be Ye Thankful, will be delighted with this easy-to-read fiction, which is deeply meaningful, spiritually challenging, and sure to become a treasured part of every family library.